The role of live in an increasingly isolated world becomes more important to create moments for deeper, richer connections and social bonding. Being part of the moment has always been special. A major international event such as the moon landing or, on a more personal level, a family wedding have been times when people want to collectively come together as part of the live experience. There is arguably nothing new in this and, in many ways, the desire to be part of an event has been steadily growing in line with TV access for many years. However, as more of us live alone and many work alone, we are, on average, spending less time interacting with others. Looking to the future, as virtual connections become more common than real ones, the opportunities to be part of something and share a moment in time with others will become increasingly important. 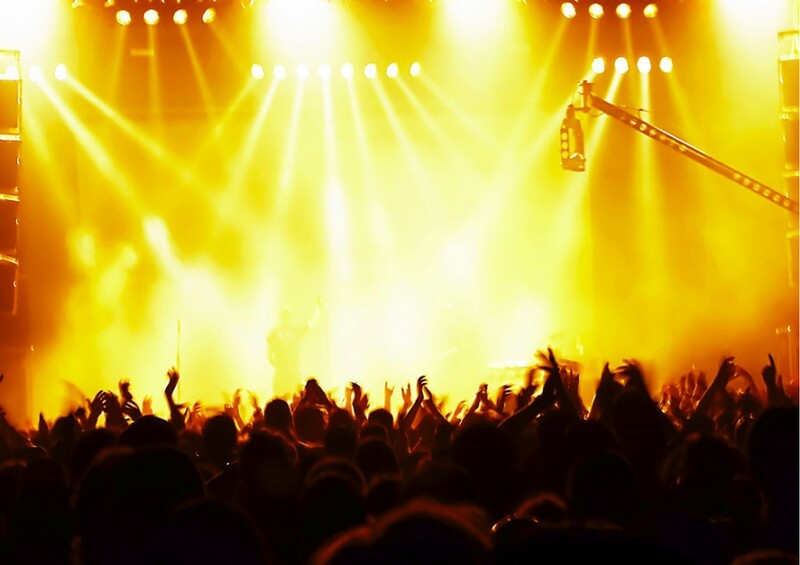 Media companies are placing ever more focus on live events, music festivals and shows are enjoying increased popularity, and informal gatherings in general are on the rise. By 2020, many see that live experiences will be increasingly valuable to us as common touch points in our lives. Traditionally, live events have either been organised around culture or sport and, in both of these areas, direct participation or involvement as part of the extended global viewing audience has clearly been growing. After the business model of the music industry was turned upside-down by downloading, attention swung back onto live performance. Organisations such as AEG and LiveNation have reinvented the music business model for venues and the top acts and created huge events where the performance, and not the music, is again the core source of revenues. At the same time, there has been a significant growth in live music festivals around the world – from opera to rock. More music events took place in 2009 than ever before and, in the UK, in 2010 there were over seventy rock, folk and jazz festivals in the month of July alone. In sport, where the physical space in an arena is the limiting factor, being part of the event via the radio, TV or online has always been big but it is also growing steadily. Events such as the Super Bowl attract over 100 million American viewers but this is dwarfed by more international occasions. The 2006 World Cup Final was watched by around 700 million people (one in ten of the world’s population) and it is claimed by FIFA that the audience for the 2010 Final reached 800 million. Over half the world’s population regularly tune in to the Olympics and the opening ceremony of the 2008 Beijing Olympics is the most watched event to date. But it is not just sport and culture that people want to be part of. Major news stories attract huge international audiences as stories unfold and people want to be part of the event. On July 20, 1969, over 600 million people watched the Apollo 11 moon landing. The splash-down of Apollo 13 and the funeral of Diana, Princess of Wales, are among the other most notable global news events: the funeral of Princess Diana was watched by 2 billion people around the world. In the US, historically, presidential debates have also drawn large audiences similar to those for other special broadcasts such as the Academy Awards. The most-watched debate so far occurred in the third and final exchange between George Bush, Bill Clinton and Ross Perot in 1992, when more than 97 million viewers tuned in. Around 10 million people watched Britain's first televised election debate in 2010. As 24/7 news channels such as CNN, BBC World, Al Jazeera and their ilk have grown beyond TV and now operate across multiple digital platforms, immediate access to breaking news has become a common expectation, but one which, with the addition of Twitter, blogs and Facebook, is increasingly becoming a shared live experience. However, in many eyes, the most successful live experience of recent years in purely commercial terms has been the rise of reality TV, from Big Brother to Pop Idol. Television networks love reality TV because it is a good way to maximise profit. Shows with high ratings earn millions in advertising and they are also largely cheap to make: because reality TV shows are unscripted, networks realise huge savings because they do not have to pay writers. Furthermore, these shows can be easily franchised around the world. According to the Guinness Book of World Records, Strictly Come Dancing is the world's most successful reality TV format: the BBC has sold the show to 38 countries around the world. The Pop Idol format was franchised to 35 while X Factor has now reached 26 countries – ranging from the US and Europe to Colombia to Morocco to Russia. In the UK, reality programmes like I'm a Celebrity ... Get Me Out of Here! and X Factor regularly attract an audience of over 10 million – over one-third of the national audience. In the US, at times, American Idol has attracted over 50% market share. Reality shows are big not just because they make money, but also because they create and exploit the immediacy of the event. As such they attract a wide range of audiences: one recent report highlighted that for girls aged between 12 and 17 years old, three out of four of their favourite television shows were reality TV shows. Alongside formal events, there has also been recent growth of ‘grapevine gatherings’. One of the most notable trends of the past few years has been the rising popularity of flash mobs, where a large group of people assemble suddenly in a public place, perform an ‘unusual and pointless act’ for a brief time, then disperse. The first flash mob was created in Manhattan in May 2003 by Bill Wasik, senior editor of Harper's Magazine. Word about a flash mob is now spread via social networking sites, private blogs, public forums, personal websites, as well as by word of mouth, text messaging, and e-mail. According to Wikipedia: ‘The largest pillow fight flash mob was the Worldwide Pillow Fight Day that took place on March 22, 2008. Over twenty-five cities around the globe participated in the first ‘international flash mob’, which was the world's largest flash mob to date. According to the Wall Street Journal, more than 5,000 participated in New York City, overtaking London's 2006 Silent Disco gathering as the largest recorded flash mob.’ Other notable significant flash mobs included a Michael Jackson tribute in Stockholm, a Sound of Music routine in Antwerp railway station and a multi-country dance as part of Eurovision 2010. While some see these as increasingly commercial gimmicks, others highlight them as phenomena that show that people increasingly want to be part of something. Social commentators have expressed many views on why these varied live experiences are growing in importance to us – from needing to feel part of the story to having something to discuss with friends through to believing that they are involved are all perspectives. However, several people have commented about the role of live experiences, and especially TV-based ones, in connecting lonely people with a surrogate family. In a comment reminiscent of the Truman Show, one workshop participant mentioned anecdotal evidence that one of the peak times for viewing of a recent series of Big Brother was at 3.00 am in the morning when everyone was asleep: People simply had the show on for company. Given that more of us live alone, so the argument goes, more of us will embrace the opportunity for being part of the live experience no matter how dull that may be. Living alone, and therefore the possibility of loneliness, is certainly something to consider. In the UK, already more than 10% of people aged between 22 and 44 live by themselves, compared with 2% in 1973 and over 37% of all UK households are expected to be 'solo' by 2020. Interestingly, young men are more likely to live alone than young women – 15% of men aged 25 to 44 compared with 8% of women. Women generally tend to live alone when they grow older. About 27 million Americans lived alone in 2000, accounting for about 26% of all households and nearly one in ten of the overall US population. By 2020, solo living in the US will account for nearly 30% of homes. In Japan over one-third of households will be composed of people living alone by 2020. Even in Australia, forecasts predict up to 20% of the population living alone. These shifts, it is argued, will increase the need for more people to connect with others at key points and hence the rise in more live moments. Today we can already see the crossover between live and virtual experiences. As we move forward, many expect that these will blur to a point where the two become merged. Live experiences will be the moments when brands come to life and touch people in new ways. So seeking to create a live experience to drive the brand will be a key challenge for many companies and not just those within the entertainment sector. More organisations will seek to monetise this and, following on from the precedents in the music sector, business models will be reinvented to make live the exclusive premium pay-for event supported by free ‘virtual’ access for those who can’t be there.